Over a period of more than 2,000 years, Xi’an was the capital of thirteen Chinese governments. During the Tang dynasty, it was the first stop on the Silk Road. With a population of 7 million, Xi’an is an important industrial and manufacturing center as well as a major tourist destination and historical city. And a leaf is a ray of enlightenment. an open-mind does not worry about the future. helping others leads to self-growth. a dull person not necessarily foolish. it lies in how you treat others and handle yourself. and meet and greet with a smile. and a smiling face promotes friendship. but on how much we contribute. seizing the present is most important. there is no absolute good or bad in this world. Building good interpersonal relationships requires communication. When communication fails, try compromise. And if attempts at compromise fail, then forgive and tolerate. when the mind is open and clear, suffering turns to happiness. With even-mindedness and a peaceful disposition, life will be happy. Before lunch we stopped at a lacquer ware manufacturer where a guide explained the labor intensive process involved in applying from 30-80 coats of lacquer to an item. This results in a bright luster which is resistant to water and other processes. The shop displayed exquisite screens, cabinets, tables, and many other items. We purchased a small box as a memento of this craft and our visit to China. In March of 1974 local farmers digging a well in the countryside east of Xi’an discovered pottery fragments and bronze weapons later identified as the Terra-Cotta Warriors. It is estimated that this army numbering about 8,000 was buried near China’s first Emperor’s tomb to defend him in the afterlife. Qin became Emperor by conquering the six neighboring states to unify China for the first time. Although reviled for his tyranny, Qinshihuangdi is admired for standardizing a common script, establishing uniform measurement and monetary systems, codifying the legal system and replacing hereditary rulers with a centrally appointed administrative system, encouraging agricultural reforms and constructing many roads, and supervising the construction of a defense fortification along the northern frontier, the first Great Wall. Even today one is left awestruck by the ingenuity of the Warriors’ design. Chinese craftsmen, using coiled earth, constructed hollow heads, arms, legs, and bodies and placing them on solid legs to make free-standing statues that stand six feet tall and weigh more than 600 pounds. Details such as eyes, mouth, and nose were carved into the clay while it was still pliable. Additional pieces such as ears, beard, and armor were modeled separately and attached before the whole figure was fired at a high temperature. In 1987, Emperor Qin’s Terra-cotta Museum was recognized as a world-class cultural heritage site by UNESCO. The Museum consists of Pit No. 1 which opened in 1979 and displays 1,087 terra-cotta warriors in a huge arch-domed structure; Pit No. 2, opened in 1994, contains specialized military forces such as archers, war chariots, and cavalrymen; Pit No. 3, opened in 1989, is the smallest of the pits and considered the command center of the entire army; and the Multiple Exhibition Building displays two sets of bronze chariots and horses. The circle vision hall has a 20 minute film using a 360 degree screen that tells the story of the reign of Emperor Qin and the construction and subsequent destruction of his terra-cotta army. 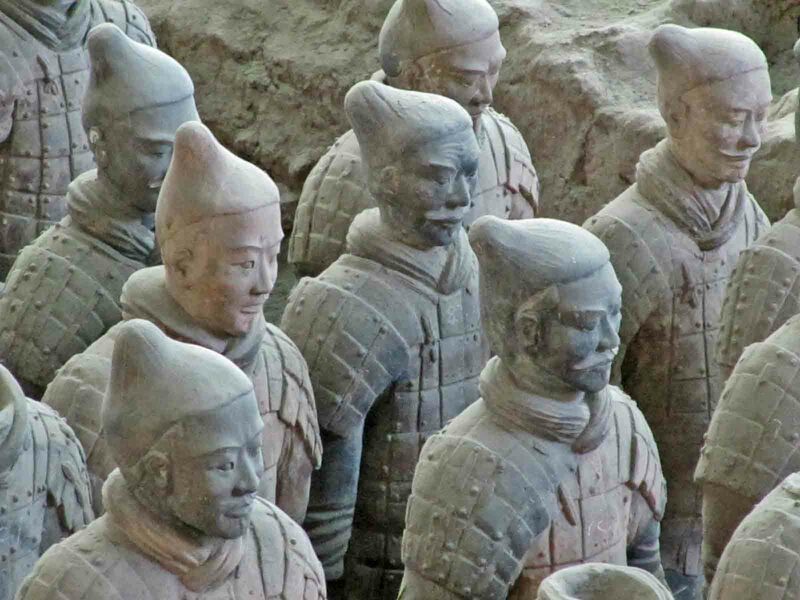 This building has a gift shop with replica terra-cotta warriors ranging in size from miniature to full-size. 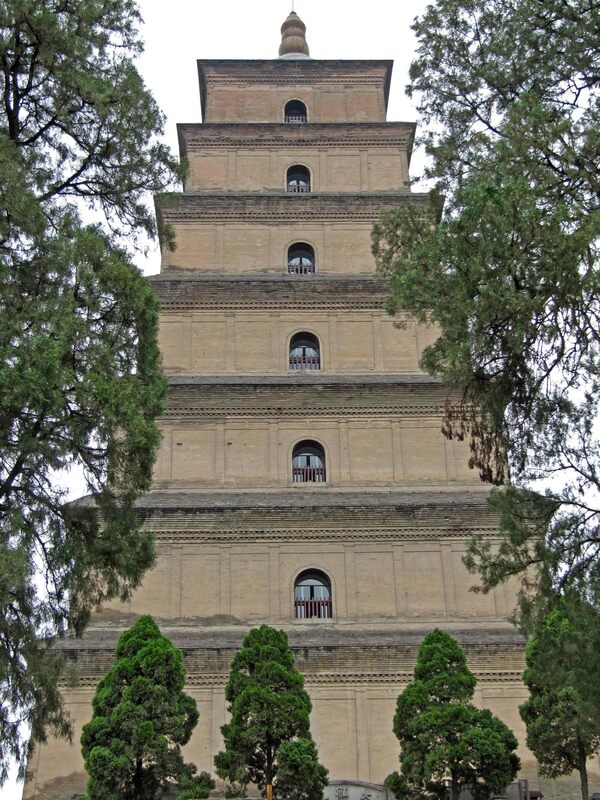 The farmer who discovered this site was available to autograph the book The Qin Dynasty Terra-Cotta Army of Dreams. Seeing the terra-cotta warriors is special, and in this way Emperor Qin has attained a form of immortality. One of our favorite dinners was the dumpling dinner in Xi’an. Dumplings resembling the shape of the contents such as a duck were a delight to the eye as well as the taste buds. 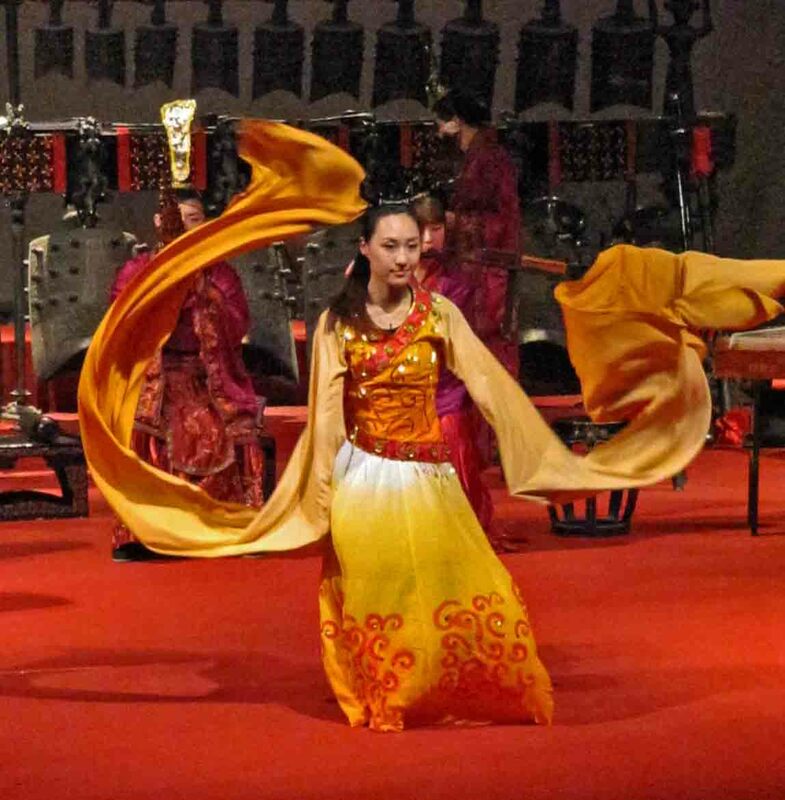 Following dinner we enjoyed the Tang Dynasty Music and Dance Show, a spectacle of color, culture, music, and dance. Before leaving Xi’an we visited the Yongning (south gate) of the most complete surviving Chinese city wall. It is about 8.5 miles in circumference with 98 ramparts and many more sentry extensions distanced so that archers might shoot anyone daring to climb the wall. The wide expanse atop the wall is now a great place for a walk. At the Xi’an airport silhouette artist Bin Wang, using scissors and a two inch square of black paper, took less than two minutes to caricature my head complete with mustache and glasses. Our lunch restaurant was located on Kuanxiangzi Alley, a pleasant pedestrian walkway with fashionable shops offset with flowers and surrounded by shade trees. The Taoist Green Ram Temple or Temple of the Two Immortals of Qingyang was built in the Zhou Dynasty but later gained a wealthy emperor benefactor during the Tang Dynasty. The Eight Trigram Pavilion, the central temple, has several stone pillars covered with golden dragons. A wall with the Chinese characters for happiness, longevity, and prosperity is a popular spot where one closes the eyes and gropes to touch one of the characters. An amusement park sits adjacent to this temple, creating an odd juxtaposition. Another new experience was a Chinese tea ceremony, an elaborate ritual where the utensils are cleaned and the tea is brewed in a specific orderly process using a lacquered tray that has a hole for draining water. We learned that a teahouse is a place to relax and enjoy the leisure of life. Our final stop in Chendu was Jinli Street, a narrow street with traditional-styled buildings, lined with shops selling curios in one direction and spots for purchasing snacks on another. 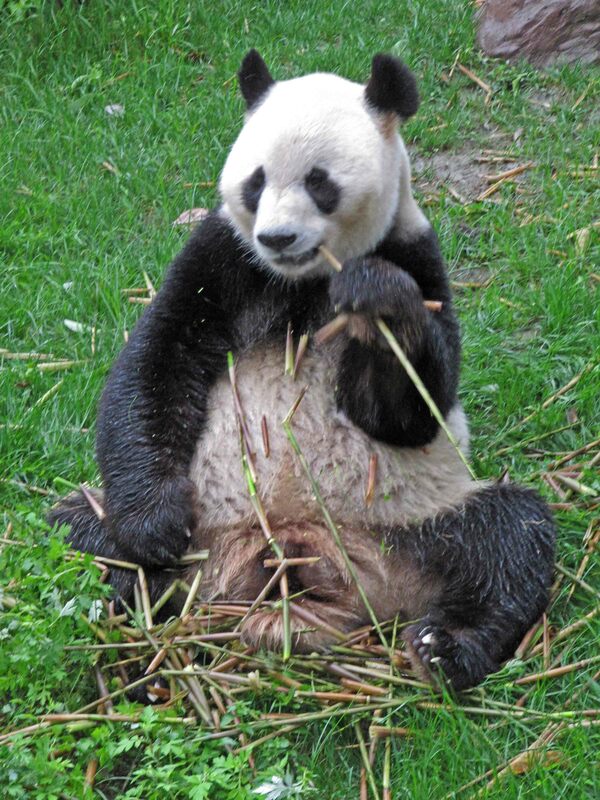 Before leaving Chengdu, let me mention that we stayed at five star hotels in each city except for Lhasa which was four star. The most stylish of the hotels, however, was the Tibet Hotel in Chengdu. The bathroom, for example, was located directly behind the bed’s wall and could be accessed through two doors, one on each side of the bed. This long bathroom had separate shower, bathtub, and toilet. The shower had an overhead rain fixture as well as a detachable shower fixture. The bathtub also had a detachable shower fixture. The light fixtures throughout were tasteful and small touches such as a live flower conveyed elegance. The beds here and elsewhere, however, are much harder than Americans are accustomed to. We were sorry to spend only one night in this room. At the Chengdu airport we headed to gate C17, the scheduled departure gate for our flight to Xian, only to find that our flight was not listed on the board that announced departures for only C gates. After inquiries, we discovered that our flight was departing from gate B5 which required walking some distance and left us wondering where a couple of members of our group were. No need to worry, we’re flying to another important city, Xian. 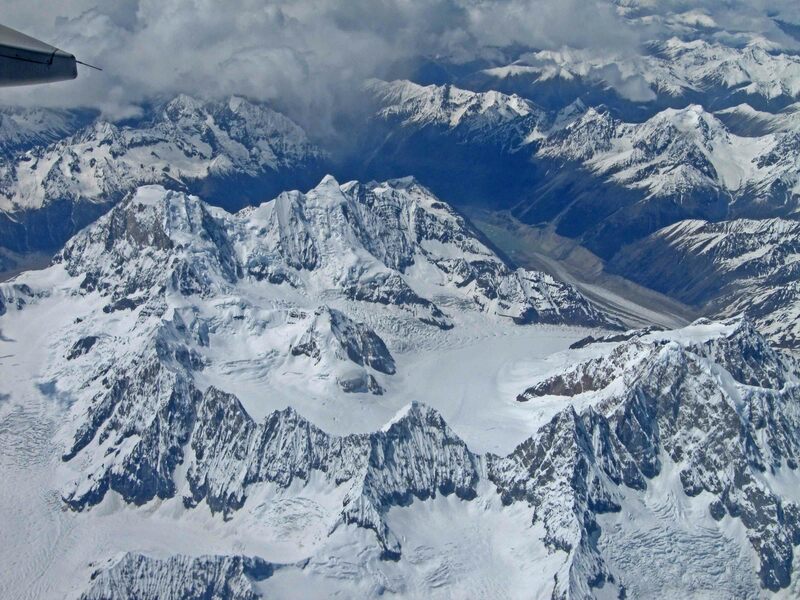 On our flight from Chongqing to Lhasa we saw rugged, snow capped mountains. A few years ago it took two hours to drive to Lhasa from their airport. After the construction of a long tunnel it is now an hour drive. Plans are currently underway to reduce this trip to 35 minutes. In route we saw many low to the ground covered greenhouse structures where vegetables and small watermelons are grown. We also spotted our first yak. Surrounded by mountains, Lhasa sits on a plateau at an elevation of 12,000 feet. For the rest of the day we took it easy in order to acclimate ourselves to the altitude. We drank lots of water and avoided taking a shower the first night. We tested our acclimation on the second day by climbing some 300 steps or thirteen floors to the top of the Potala Palace first built in 637. It sits atop Putuo Hill and has more than 200,000 statues, temples, shrines, and historical Tibetan articles. 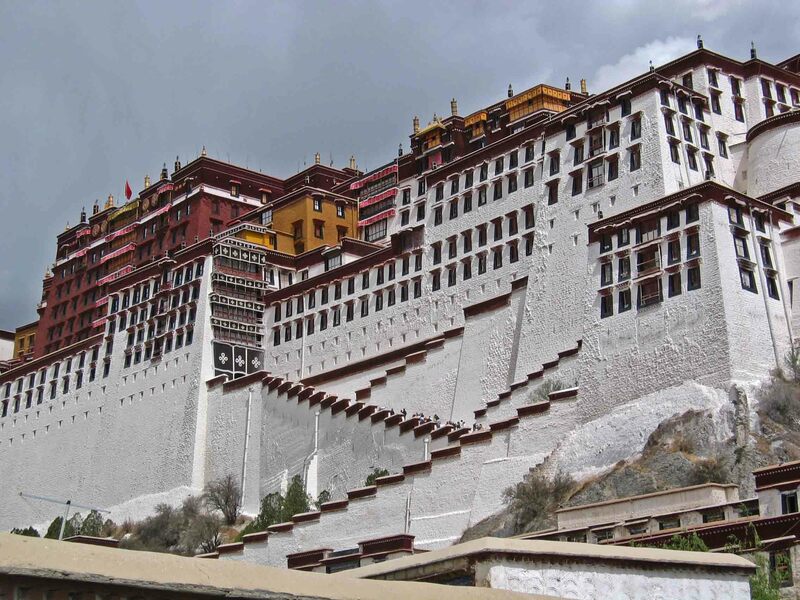 The Potala, now a museum, was divided into two sections, the white palace where the Dalai Lama lived and political business was conducted and the red palace which was devoted to religious study and now contains the bodies of several former Dalai Lamas. 1,300-year-old Jokhang Temple, declared a UNESCO World Heritage site in 2000, is considered the Mecca of Tibetan Buddhism. The Sakyamuni Statue is considered one of the more unique holdings. We did some shopping afterward at the Lhasa Tibetan Village Artistic Company. The surrounding streets are filled with street vendors but their products are considered inexpensive fakes. “Happiness Is On the Way,” a Tibetan culture program, featured gorgeous costuming, skilled choreography, colorful settings and clamorous music. 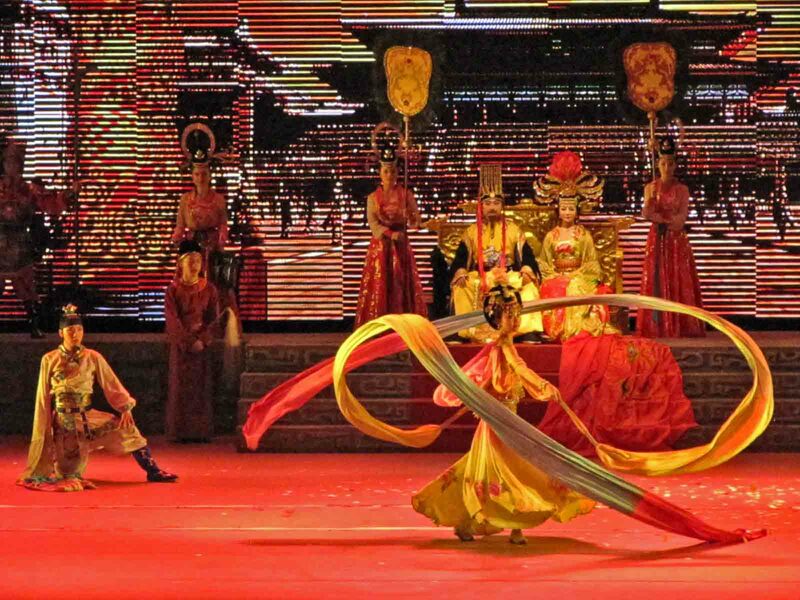 The most unusual aspect during the performance was that some Chinese audience members left and returned to their seats, sometimes more than once, during the performance. On our seond day in Lhasa the sky was cloudy with a steady drizzle. Snow had fallen on the mountains surrounding Lhasa. Nevertheless, our excursion to Green Jade Lake, considered a holy site, went on as planned. Before we started the steep incline up a mountain, we passed a bus that had flipped on its side. The passengers, who appeared to be Tibetan, had escaped out the rear as the bus lay on its side. A series of switchbacks took us up an additional 3,500 feet and left us breathless as we looked at the deep canyon aside us. Oncoming vehicles approached our bus from the middle of the road. Our driver vigorously honked before each curve. Most of our group saw the Green Jade Lake for a fleeting minute. I took a picture of a rock inscribed with details about the elevation, 4,441 meters (about 14,570 feet), and paused surrounded by thousands of prayer flags blowing their prayers in the wind. Yaks were decorated for photographs, 10 yuan please. After our descent we stopped in a village about an hour from Lhasa for lunch and then a visit with a local family. The outside of these homes which were built within the last 2-3 years were inviting. The inside is spacious but primitive by our standards. Our hostesses presented us with silk scarves, offered samples of yak butter tea and homemade barley beer, and sang a song. Many in our group had brought gifts of school supplies and other toys. The balloons were especially popular with the young boy. Our dinner at the Mad Yak Restaurant had two buffet lines, one with Tibetan food, which we sampled, and the other Chinese. Again, we drank yak butter tea and barley beer. After dinner we enjoyed a Tibetan music and dance show. The costumes were especially colorful. The Sera Monastery, founded 1,300 years ago by Jamchen Choje Shakya Yesh, continues to be a place of learning for Buddhist monks. Many young boys, such as our local guide, start at age five. He renounced his vows after 14 years, but many continue their learning for a lifetime. Especially impressive were the vibrant colors and intricate designs of the three dimensional sand mandalas. A wall covered with ancient texts in cubby holes from the floor to a very high ceiling held this bibliophile’s interest. At the request of a follower, one monk, using gold ink to write on red silk the name of a deceased beloved, which would then be burned as prayers were presented. When in the temple, one shows respect by removing any head covering and not taking pictures. The security personnel, however, kept their hats on while closely monitoring the monks. An interesting incident occurred at the Lhasa airport as we went through security for our flight to Chengdu. A parcel belonging to a member of our party disappeared after it was screened. Our national guide walked through the waiting area asking whether anyone had accidentally picked up this parcel which he described in Chinese. When no one came forward, he reported the loss to security. Each passenger’s identification is matched with corresponding video of the screening process. A picture of the culprit was clearly visible and could be magnified with clear identifying marks. It was then possible to track her within the boarding area where two security officers found the missing piece and escorted her away. While in Tibet we observed pairs of police throughout public areas. In the public square one cannot set anything on the ground. Roads have checkpoints which allow passage only to authorized vehicles and passengers. The Tibet Autonomous Region is under tight security. Our 2 hour flight from Beijing to Wuhan was delayed about 50 minutes. Wuhan, centrally located in China, is both an industrial and educational center. Coca-cola and Pepsi both have plants. There are joint ventures for the manufacture of Citroen and Honda cars. Wuhan has sixty colleges and universities, including the prestigious 50,000 student Wuhan University. Interestingly, a delegation of librarians from Wuhan University had visited my place of employment a few years ago and had given me a keychain which I’m using on this trip. We crossed the Yangtze on two of their six unique bridges, once for a late evening dinner and then to our upscale hotel. The Wuhan Yangtze River Bridges, completed with Soviet Union help in 1957, was the first highway-railway bridge over the Yangtze. At the Hubei Provencial Museum in Wuhan we viewed artifacts from the Marquis Yi of Zheng’s tomb. He was a musician who lived during the early Warring States period in the 5th century BCE. More than 125 pieces of musical instruments such as set bells, stone chimes, drums, and pan pipes were unearthed along with bamboo slips with 12,696 characters written in ink, the oldest of their kind ever discovered. The highlight of our visit was a concert using replica instruments of the ancient bronze concert bells, stone chimes, and other instruments. The Museum also exhibited a history of writing in China with examples from tortoise shells, bones, metal, stones, bamboo slips, wooden tablets, and silk. On the top floor Hubei revolutionaries who braved extreme dangers, devoted their youth, blood and even life to the independence of the country and the liberation of the nation were recognized. During the two hour bus ride from Wuhan to Yichang, we saw farm land with small fields of corn, rice, water vegetables, and fish farms. Some farmers still use water buffalo, others might have a small tractor. After dinner in Yichang, we boarded the brand new five-star M/V President Prime. This, the seventh ship for the M/V Presidential cruise line, took its maiden voyage on April 15th. We upgraded to a deluxe suite on the fifth deck of this riverboat which offers private verandas for all rooms. On our first full day, my better half refreshed herself with a Chinese massage while I took the Tribes of the Three Gorges excursion. 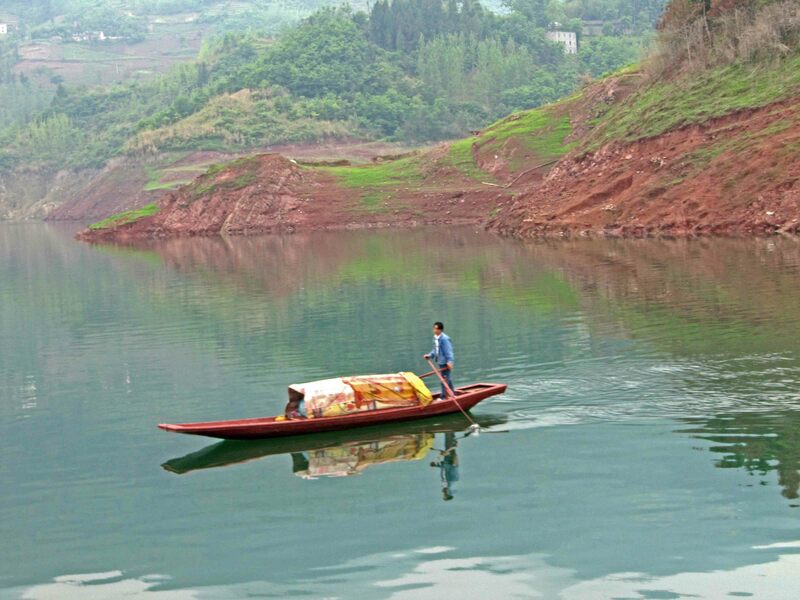 This river which flows into the Yangtze combined natural scenery with a taste of the ancient Ba and Chu cultures. A sailboat with a boatman and standing maiden moored placidly near a bridge. One woman washed clothes along a bank of the river, while another fed ducks. Macque monkeys eagerly grabbed peanuts from those passing by. The fingers from the Yellow Dragon Waterfall left us at the junction with the return trail on the opposite bank. A fisherman, visited by cormorants, cast his net. In a stilted pavilion young women sang and entertained us with a mock wedding. The discerning eye could even spot hanging coffins perched high atop a hillside. This was a wonderful excursion for the photographer. Before the construction of the Three Gorges Dam, Xiling Gorge was considered the most dangerous of the three gorges to traverse, with terrifying whirlpools and strong rapids. Since the construction of the dam, the river’s depth has increased from a few meters to more than 100 meters through its length. The massive Three Gorges Dam is 7,661 feet long and was built using 35,600,00 cubic yards of concrete. The rationale for its construction was to control flooding and produce hydroelectric power. It also significantly increased shipping capacity along more of the Yangtze. Its construction, however, displaced 1.3 million people, covered archaeological and cultural sites, and made significant ecological changes such as increased landslides. 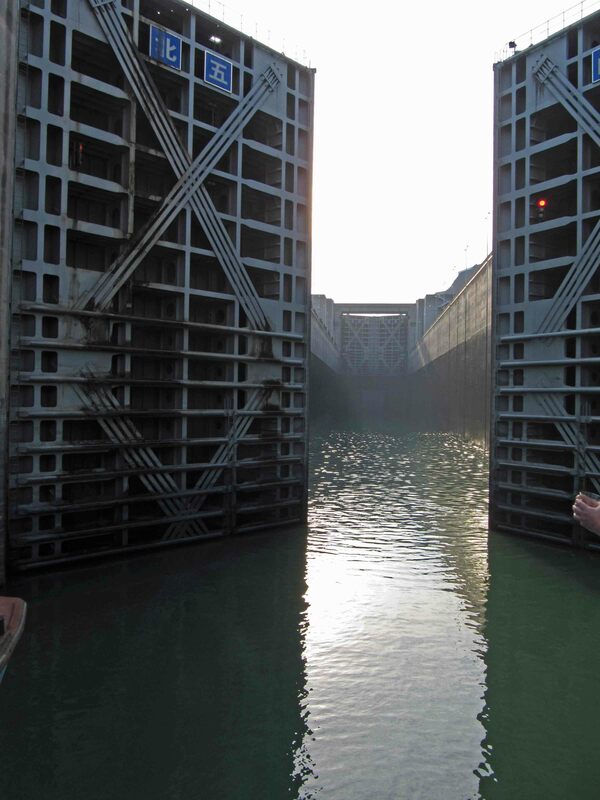 It takes about four hours to pass through the 5-level ship locks which rises 113 meters. An elevator-type lift, which will only take 30-40 minutes for smaller ships, is under construction. There is no fee for ships using the 5-level locks but there will be a fee for using the elevator lift. At the east end of the Wu Gorge, we left the Presidential Prime in a smaller boat that took us up the Shennong Stream, a tributary of the Yangtze. The steep, rocky cliffs hid hanging coffins in one spot and unveiled the massive backbone of a high speed rail line in another. 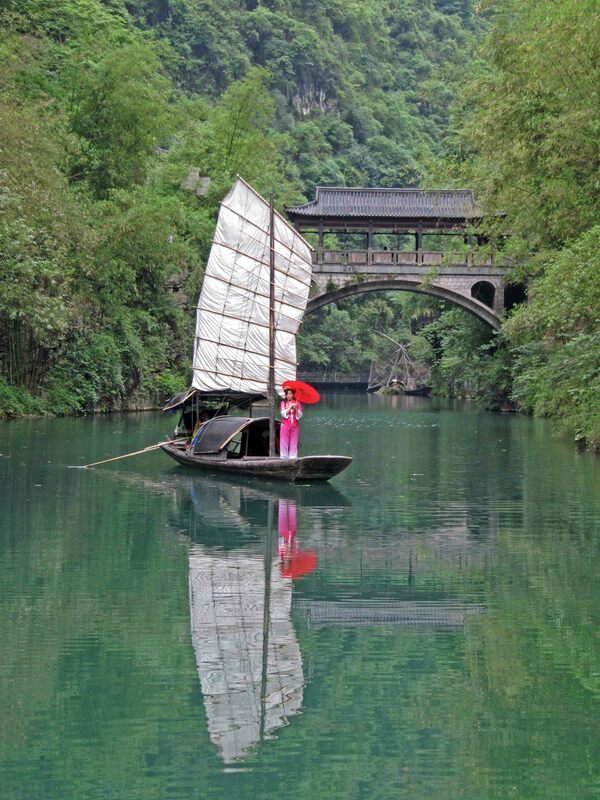 Deep within the gorge we transferred to sampans, referred to as peapod boats because of their appearance. About a dozen of us donned life jackets and enjoyed the scenic ride as three oarsmen rowed on the aft while one oarsmen helped the captain navigate from the stern. These fellows of Tujia ethnic descent also demonstrated the art of tracking, how to pull the boat over sandbars. The Wu Gorge winds through mountains on both sides of the Yangtze for about 25 miles. Fog and clouds add to the eeriness of the unusual peaks and rocks. The Qutang Gorge at 5 miles is the shortest and narrowest of the Three Gorges. Traversing the narrow canyons among the high mountains creates spectacular vistas. Our last excursion was to the Ghost City of Fengdu. An array of temples and shrines dedicated to the gods of the underworld make this place a Chinese Hell for the Taoist and an amusement park for the typical traveler. Entertainment after dinner on the riverboat consisted of the crew demonstrating dance and a John Denver crooner on the first night. 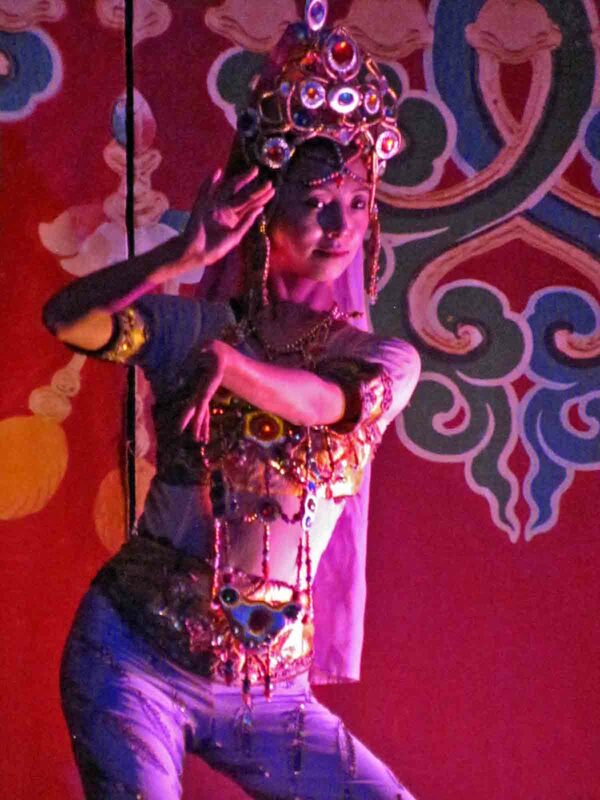 Ethnic minority dances were featured the second night. Passengers showed off their talent on the final night. A French Canadian turned out to be a very good magician while our group did a dance routine followed by a humorous song. Because of the low level of water in the Yangtze, we disembarked from the riverboat in Fuling and drove two hours by bus to Chongqing. With a population of 32 million, it is the largest city in the world. Surrounded by mountains, the Jialing joins the Yangtze in Chongqing which causes it to be fogged in most of the time. After an early lunch, we toured a museum in Chongqing that featured a number of large, elaborately carved beds given by men to their wife, concubine or daughter. With the long bus trip and early departure for Tibet, we spent only a short time in the largest city in the world. The adjustment of our internal clocks to the 15 hour time difference with the People’s Republic of China started with a 6 a.m. flight departure from Phoenix to San Francisco. The long layover before a 2:50 p.m. Air China flight gave us the opportunity for a relaxed breakfast at Yankee Pier, considered one of the top ten U. S. airport restaurants, and time for reading. The 12 hour flight was made longer by an hour-and-a-half delay on the tarmac to repair a mechanical problem. Beijing’s airport, its third in only 15 years, was expanded and modernized specifically for the 2008 Olympics. The massive open spaces and fast tram service to the baggage area are a marvel. Beijing, which means northern capital, is the political, commercial, and cultural center of the most highly populated country in the world. The Summer Palace, built during the Jin Dynasty (1153) by Emperor Zhenyuan for his mother, is a spectacular garden surrounding 700 acre man made Kunming Lake. In 1888, Empress Dowager Cixi, referred to as the Dragon Lady, made improvements. The buildings in her living area are colorful and ornate. Sculpture accents the symbolism of the royal reign. 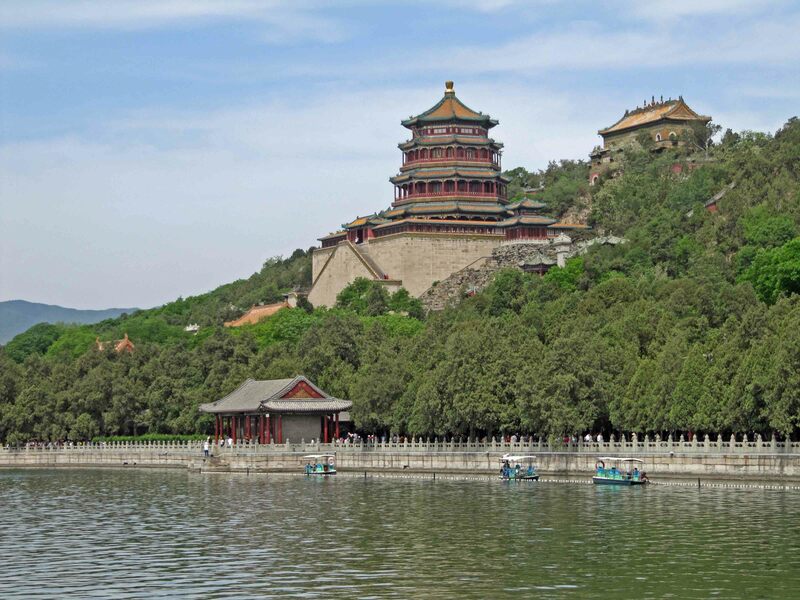 The walk over a small bridge to Spring Island places one in a contemplative mood with willows providing shaded views of the Kunming Lake and a Buddhist temple, the Tower of Buddhist Incense, on a mountain, Longevity Hill, which was formed with the dirt from the digging of the lake. We observed an unusual form of exercise, a man with two broom-sized brushes using water to form calligraphy on the sidewalk with each hand simultaneously. A covered walkway, the Long Corridor, is 728 meters with 273 sections. It features 8,000 colorful paintings depicting birds, flowers, landscapes, and stories from Chinese literary classics. Money for the construction of this royal retreat was taken from the navy’s budget. Hence, there is some logic behind a stationary marble boat. Near it we boarded a dragon boat to cross the lake, landing close to another island and the seventeen arch bridge. New City Jewelry specializes in pearls. An interesting way to assure tourists is to offer lunch as well as tours. Our lunch and dinner meals were served family style at tables. Dish after dish was placed in the center of the table and rotated for self serving. Each restaurant served different specialties. Small plates and chopsticks, forks optional, were used. Soup is served later in the meal with fruit announcing the final course. The Forbidden City or Imperial Palace housed the emperor, his family and servants. It was also where the business of the empire was conducted. This complex of buildings has 8,707 rooms occupying 720,000 square meters. While the formal entrance was on the south, we entered from the north after noting the protective moat, high walls, guard house, and gate. The empress, concubines and children were housed in the inner area surrounded by beautiful gardens and trees. Some of the buildings we explored included the emperor’s preparation and receiving areas. This area was devoid of trees making observation of all entering easier. We were told that the ground had 17 layers of bricks to discourage tunneling. Another building was where the national examination was offered every few years in rotation with local and regional exams. This was a means to find highly qualified governmental officials rather than using patronage or heredity. We didn’t get to visit the museum because there had been an “accident.” Later, we read in China Daily that nine pieces of jewelry, dating from 1920-1945 and worth 1.5 million dollars, borrowed from Hong Kong for a temporary exhibit had been stolen. The English language newspaper quoted the museum director as apologizing for this “accident.” One of the robbers was quickly apprehended. Tiananmen Square, continuing in a north-south line from the Forbidden City is the largest gathering place in the world and is capable of holding a half million people. At one end is the Gate of Heavenly Peace where Mao declared the founding of the People’s Republic of China on October 1, 1949. A huge painting of Chairman Mao is centered on this building. At the opposite end of the Square, the Chairman Mao Memorial serves as a shrine for Chinese who make the pilgrimage to see Mao’s body. This section also has a tower commemorating the People’s Hero. The Great Hall of People sits on one side of the Square opposite the National Museum. Our bus dropped us off at the north entrance of the Forbidden City and we walked some three miles to the south of Tiananmen Square, passing the National Railroad Museum, with its classical Russian architectural influence. A special Peking Duck dinner was a great way to finish a great first full day in this country half a world away. Our second day started with a visit to a Jade Factory where we learned about the different kinds of jadeite and nephrite. Jade has been and continues to be a precious, symbolic gemstone in China. In some tombs archaeologists have found small squares of jade fastened together as a blanket covering the dead. In modern times women wear a jade bangle on their left arm, close to the heart. With a wide selection of colors (and price) we found the perfect bangle. We admired other jade pieces such as galloping horses. A circular piece of jade with four or more smaller balls carved within it represents each generation of a family and is a precious heirloom in a culture that values ancestors. The Great Wall of China is a remarkable feat of construction. We took a good number of the uneven 1,730 steps to the top of the Great Wall at Badaling, 43 miles northwest of Beijing. The low lying fog added an eerie element. An opposing Mongol army would have been foolhardy trying to breach this part of the Great Wall built during the Ming dynasty. The Wall itself is 26 feet tall and 23 feet wide at the base to accommodate up to six horsemen riding abreast. Small garrison forces in watch towers built on high points every 200-300 meters could communicate with fire signals or fireworks. The Great Wall serves as a marker of Chinese cultural and national identity. A visit to a Cloisonné Factory introduced us to the elaborate and complicated enameling processes to create this type of Chinese art marked by brilliant colors and splendid designs. This spot offered another delicious lunch. The innovative Beijing Olympic Stadium, known as the Bird’s Nest, is composed of a complex mesh of steel bands incorporating elements of Chinese art and culture. 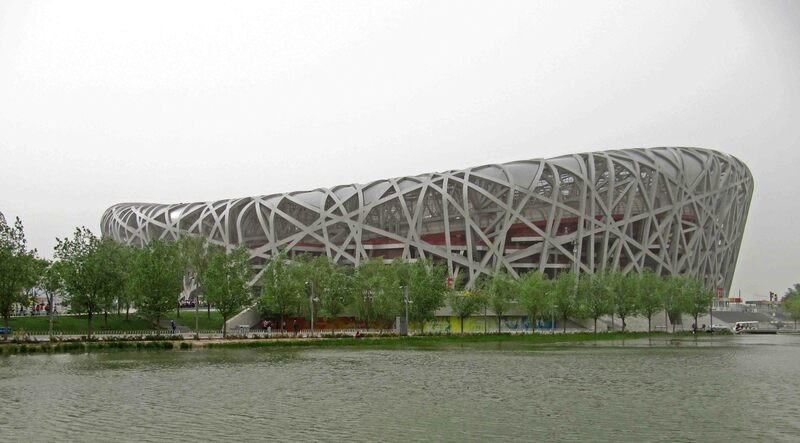 Architects Herzog & de Meuron collaborated with Chinese artist Al Weiwei to design this National Stadium which hosted the memorable opening ceremonies of the 2008 Olympics. The light fixtures surrounding the stadium use a bird’s nest design. Adjacent to this stadium which holds 90,000 spectators is the National Aquatic Center, known as the Water Cube, which has 6,000 permanent seats and 11,000 temporary seats. While the Bird’s Nest is not often used, the Water Cube is a water park. Coca-Cola, which was a major sponsor of the 2008 Olympics built a nearby office building known as the Dragon’s Head. The Media Center for the Olympics features a unique tower. “First-rate Jade in China” is a 21 ton stone mined from the Hetain Kunlan Mountain in Xinjiang. As we toured the grounds between the Bird’s Nest and the Water Cube Chinese tourists wanted pictures with us. We surmised my moustache was a curiosity as well as being foreigners. Three Miao women, one of 55 Chinese ethnic minorities, were in their native costume and very much enjoying themselves. A hutong is an alley or lane. As tall apartment buildings with amenities such as toilets have been built, only a few hutongs remain. We toured the Hutong District of Beijing by rickshaw and visited a local family. This family, which moved into their hutong in 1936, was one of 24 families selected to offer tours during the Olympics. We were told that I sat in the same place as 8 time Olympic gold medalist Michael Phelps. The concept of feng shui continues to be important to most Chinese. It is used, for example, to determine the type of trees and their placement in a hutong. Likewise, the placement of buildings for the 2008 Olympics was established using feng shui principles. A one story hutong with several rooms surrounding a courtyard such as the one we visited is worth more than a million dollars. My birthday (eve) dinner was at the elegant restaurant in the Wuhaha Hotel. Our local guide convinced the wait staff to serve the cake after dinner rather than before. The cake was topped with a plastic flower. A match inserted at the top lit eight small candles which then opened the petals to fully display the candles and played “Happy Birthday.” Being in China for a birthday is a great present. 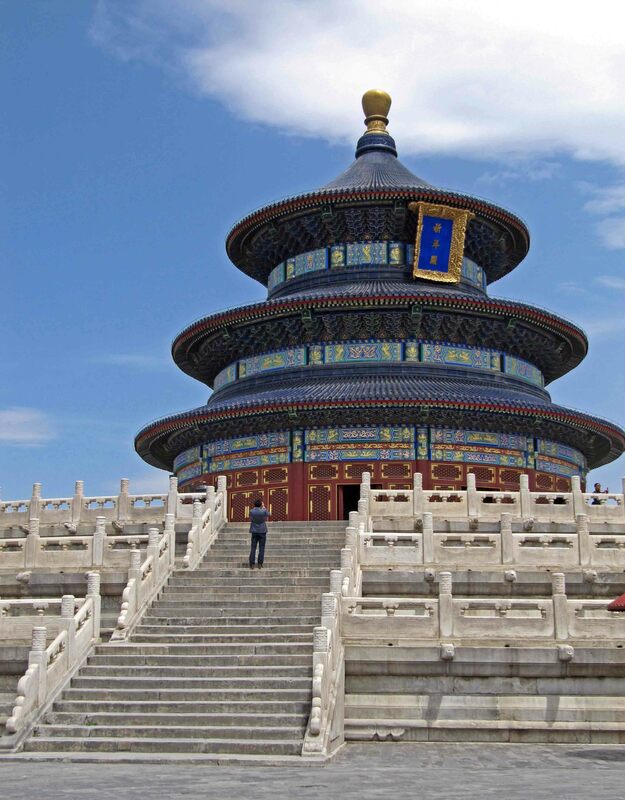 The Temple of Heaven, built in the fifteenth century, was visited by the emperors of the Ming and Qing dynasties for annual ceremonies requesting good harvests and during the winter solstice. The emperor and his entourage would make their way about 2.5 miles from the Forbidden City to this site. The wide walkway has a central marble path for the emperor and outside paths used by other ranking officials. The Circular Mound Altar, the site for the emperor’s prayers during the winter solstice, is an empty circular platform on three levels of marble stones decorated with dragons. The center of the altar is a round slate called the Heart of Heaven which was so populated by Chinese visitors we couldn’t even approach it. The Imperial Vault of Heaven, built on a single level of marble stone base, is surrounded by a smooth circular was, the Echo Wall. Because the weather conditions were not conducive for transmitting messages, we didn’t experiment with the echo. The Hall of Prayer for Good Harvests is a triple-gabled circular wooden building using no nails that was built on three levels of marble. The pedestrian Wangfujing Street has major luxury brand stores. 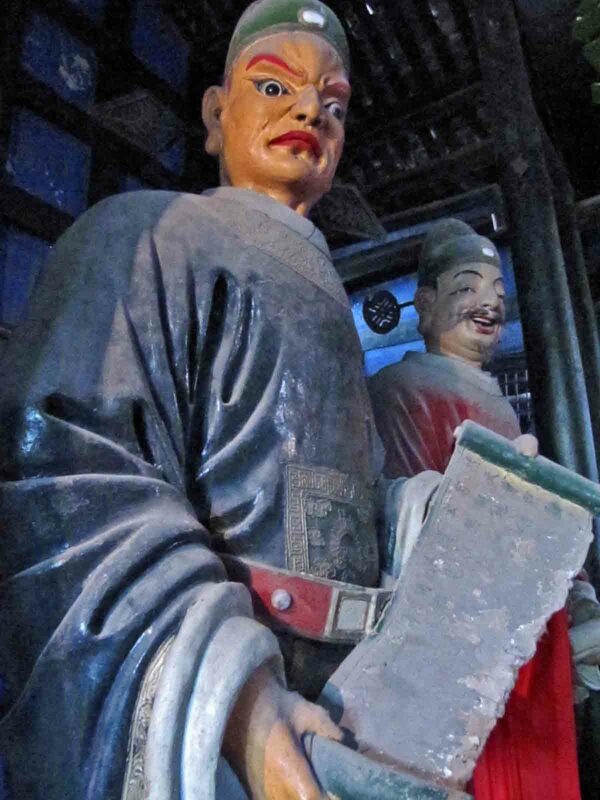 There are several statues along the sidewalk such as a rickshaw and Manchu barber. There were also young men in unusual dress such as an armor clad guard in front of some stores. Narrow alleyways nearby are crowded with shoppers perusing the street market stalls. The Chinese are quickly transitioning from bicycles to automobiles. The city of Beijing currently has six ring roads with the first being the one that circles the Forbidden City. Many drivers are learning how to drive and the heavy traffic is very dangerous for pedestrians, bicycles, and other vehicles. There are strict regulations concerning how many cars one can have yet Beijing is adding 2,000 cars per month. Also, the last digit of the license plate restricts two numbers each day Monday through Friday from using the roadways.